Martin Solotruk (1970) graduated in English language and literature and Slovak language and literature from the Faculty of Arts at the Comenius University in Bratislava. From September 1996 till February 2017, he was a staff member at the Comenius Department of English and American Studies. At present he teaches at the Faculty of Law at the Comenius University in Bratislava legal and diplomatic English. His professional growth was importantly shaped by a number of long-term stays and scholarships, for example at the Azusa Pacific University, Los Angeles, USA; University of Warwick in the UK; USIA Winter Institute in American Studies at the University of Delaware, USA; as well as the New York State Summer Writers Institute at Skidmore College, USA. He received his PhD. 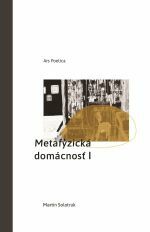 title in the field translatology at the Comenius University in Bratislava for his thesis Translation of the polysemy as a decisive factor in poetry translation. His scientific and educational research interests include American literature, American studies, artistic translation and comparative literature, as well as translatology and creative writing. In 2007 he was awarded the artistic translation of the year award - the Ján Hollý Prize for his translation of The Crow book by Ted Hughes (Krá. Zo života a piesní Krá – The Crow. From the Life and Songs of the Crow). 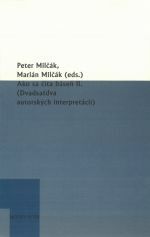 The theatre plays in his translation were staged in multiple theaters, including The Slovak National Theatre, Astorka Korzo 90, Studio L + S, The Slovak Chamber Theatre in Martin and elsewhere. He also published several book-length translations (Ashbery, Simic, Forché, etc.) and dozens of shorter projects, especially of the world poetry. 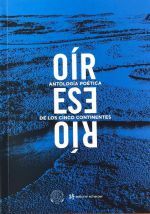 As a poet he has so far published five poetry collections: Tiché vojny (Silent Wars, 1997), for which he was awarded the Premium of Ivan Krasko Prize for the best debut, Mletie (Grinding, 2001), Lovestory: Agens a paciens (Lovestory: Agent and Patient, 2007), Planktón gravitácie (Plankton of Gravity, 2006) and Metafyzická domácnosť I (Metaphysical Household I, 2017) and was invited to read at leading poetry festivals in the world such as the Xichang Qionghai Lake Silk Road International Poetry Week, China (2016), Felix Poetry Festival Antwerp (2015), IFOA Toronto (2014), Vilenica (2013), Poesie Festival Berlin (2012, 2006), Genoa International Poetry Festival (2010), Stanza St. Andrews (2007) and Taipei International Poetry Festival (2005). His poetry came out in book-length translations in English, German, Spanish, Dutch and Hindi, and a selections of his texts were translated into twelve languages including representative anthologies such as Lob des Wildtiers in Winter. Gedichte aus der Slowakei (Verlag Das Wunderhorn, 2014), New European Poets (Graywolf Press, 2008), A Fine Line: New Poetry from Eastern and Central Europe (Arc Publications, 2004). 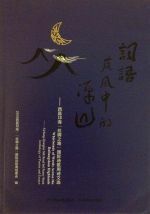 His poems in English translation appear in the database of academic and artistic texts CEEOL. Solotruk also attended, as an invited expert, several conferences organised by the European Commission – with personal involvement and under the auspices of the Chairman José Manuel Barroso. Martin Solotruk is also the managing editor of the Ars Poetica Publishing House and a director of the namesake International poetry festival which, during the span of thirteen editions, featured a number of leading poets as well as rising stars of the contemporary world poetry. He has also initiated a number of other interdisciplinary projects including the European Poetry Forum platform. The Ars Poetica International Poetry Festival brought to Comenius University, Faculty of Arts, a number of leading personalities of contemporary English-speaking poetry and science, i.e. Robert Pinsky (Poet Laureate USA), Carolyn Forché (Lannan Chair of Poetry, Georgetown University), Ron Padgett (Chancellor, American Academy of Poets), Ciaran Carson (T.S. Eliot Prize holder), Rod Mengham (University of Cambridge) and many other. "So tickt Europa", SWR, ARD, a reportage by Joana Jeschke and Matthias Ebert, broadcasted on 5.5.2014.